What do I need to bring ? Whatever the holiday season The Swalings Playlist kids club is the camp to be on for boys and girls from the ages of 4 – 12 years old. As soon as school breaks for a holiday the Playlist is open for fun! Camp starts at 830am and finishes at 5pm every day Monday to Friday. The day is broken down into 3 parts. A morning activity, followed by lunch and a rest back at the Playlist Kids Club and then an afternoon activity, its then time for home and a well-earned sleep! To see a schedule of activities for the next holidays click the timetable here. The Playlist provides transport to and from each activity. All you need to do is make sure the kids are dropped off and picked up on time. 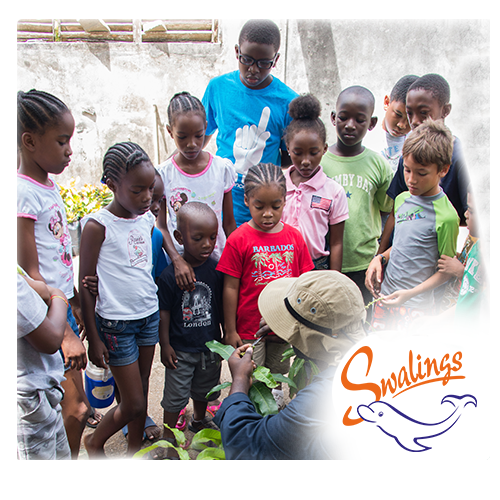 The Swalings Playlist is Antigua’s premier action packed, fun filled activity camp as voted for by the “Playlisters” themselves. Over the years the Playlist campers have been on some amazing trips and done some fabulous activities. They have recorded their own hit song with Antigua’s very own Soca Artists Ricardo Drue and Drastic. They’ve made their own Antiguan Sushi and entered into Pizza Making competitions at local restaurants. They’ve hiked all over the Island to famous landmarks such as Betty’s Hope, Wallings Dam and Shirley Heights Look out. They’ve been on a tour of the fire station headquarters dressing up as fireman and sliding down the fireman’s pole as well as a tour of the Talapia farm and Donkey Sanctuary. They’ve entered into the Swalings Beach Olympics playing all sorts of fun games and activities visiting over 200 of our 365 beaches! They’ve played football, tennis and basketball among many sports whilst also being taught cricket by some of the West Indies former players as well as taking in a game of 20:20 at the famous ARG. They’ve been on Easter Egg Hunts during the Easter holidays, on scavenger hunts and hunting for Lizards during the Summer and have even been visited by Santa Clause and his reindeer at Christmas. When it’s time to cool off they visit the pool or beach! We do provide a lunch option to choose from at a minimal cost. At the beginning of each day children can choose what they wish to order for lunch from a set menu or they can bring a packed lunch and snacks. Plenty of Water – Kids get thirsty especially in the sun! Please make sure all clothing items and personal belongings are clearly named. Leave this box checked so we can reply quicker! If you are using internet explorer, please turn off your cookies so we can receive your enquiry. Thank you.